Sometimes I get a surprised expression after I share that I was a Meteorology major in college attending a prestigious university in the field. My analytical mind likes a challenge, and that’s definitely what I got in meteorology school – so much that I moved back home not able to pass Calculus 2 on multiple attempts, and took what seed was planted within me from great experiences from a massage therapist at the university recreation center. Describing my massage therapy school experience in one sentence is, the decision to do so was a pivitol time in my life – the path I needed to be on was this, and it was just the beginning – started my career in massage in 2011. When Young Living essential oils were introduced to me in 2012, I had to know more about them. I wanted to understand WHY more people weren’t using them at the time after my amazing experience receiving my first Raindrop. Prior to the oils, I was about a year into my massage business – bustin’ it out, living the 1099 life, running my very own business for the first time ever. I was looking for something to compliment what I was doing with my massage practice, and before being introduced to Young Living, I had tried a couple other avenues that ended up not fitting my vision. Something about the oils and the way they made me feel got me to jump right in – all it took was for someone to share with me and let me experience the oils for myself. Fast forward a couple years and the impact of me sharing the oils in my massage practice and online turned into a surprise call from a head athletic trainer of a team in the National Football League looking for ‘alternative methods to keeping their players healthy’, requesting information for using essential oils and massage therapy in their facility. Every body can benefit from Young Living essential oils. No body is too big or too small, too sick or too healthy. I wont go in too deep hear about the chemistry of essential oils – there are plenty of books available that can teach you all the nitty gritty of the oils and how they work with the body on a super-sciencey level. Instead, I will explain how my experience has been as a massage therapist with the oils in general. When I received my first Raindrop, I knew right away that these oils offered something to mankind for huge purposes. Realizing that plants have been on this planet far before we were ever created, I think says a lot – the Creator knew what He was doing when he applied amazing properties to plants that can be turned into amazing tools to support the body, mind, and spirit. I remember moving my body from a prone (face-down) position to sitting up straight on the massage table and scanning my body with my mind from head to toe, taking in every bit of how my body was feeling. It’s not easy to find the word that defines how the Raindrop Technique can make the body feel. I wanted to know MORE about these OILS!!! The human body is an amazing machine. Literally. Think of it like you would your car for a moment… your body is your vehicle. We have to maintain it in order for it to function properly, just as you would take your car in for maintenance – oil changed, filters replaced, tires rotated or replaced, etc. Your body needs water. It needs movement throughout the day. It needs to be fed good nutrition. It needs sleep. If you’re in the massage therapy world, you know how the body can feel when it’s stressed. Shoot, even if you’re not a massage therapist, you may be able to tell what stress is doing to you! Ever feel like you have the weight of the world on your shoulders? That stress is setting into your trapezius muscles. Ever feel your stomach upset when you’re worried? Emotions can impact the physical body, good or bad. Check out Dr. Emoto’s Water Experiment – remember that our bodies are about 70% water. 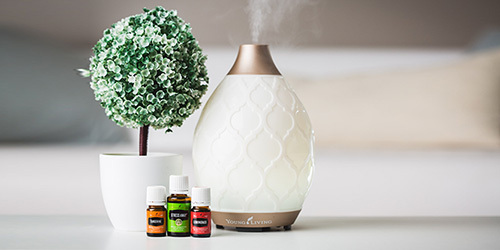 Because essential oils have the ability to almost instantly impact your olfactory bulb that connects and limbic system, the seat of emotions, just by inhaling an aroma, we have the power to support our emotional body, and therefore our physical body. Imagine what calming aromas can do for the person who just cannot relax.. who has a million things going on in their head at one time.. who isn’t able to sleep well at night.. and combining that with massage to help transform and reset the body for the better. If you’re into learning about the energy system of the body, I’m totally there with you – it’s remarkable, and there’s so much that I believe the medical field does not know about how the body works. The graphic above illustrates the primary chakras – energy centers of the body – with their corresponding essential oils to support each in balancing. We can have an over abundance of energy in a chakra, where the chakra is too open; or we can have a block in our chakras, causing imbalance and perhaps feeling depleted. Meeting with someone who is trained in energy work can help you determine which chakras are out of balance. These people could be Reiki masters or teachers, massage therapists, or yoga teachers. We can work with opening up and balancing our chakras through essential oils, energy work, and/or bodywork. An oil with a wide-variety of uses, but can be ‘hot’ to sensitive skin, Peppermint is a great oil for supporting muscles recovery. I love to apply a drop or two to areas that may have some kind of injury. Peppermint brings in more oxygen to the tissue, which helps speed up recovery time. Peppermint is a cooling oil, so applying to the back of the neck or bottoms of the feet to cool off works great. Be careful to not get Peppermint near the eyes – the aroma alone may cause the eyes to water. With any essential oil, if any eye contact occurs, apply Young Living’s V-6 carrier oil, coconut oil, or olive oil to the eye, or wherever there is discomfort from the oil. It’s all in the name. Put a few drops of this oil into your diffuser in your massage space, and watch the stress melt away as your clients step into the room. Stress Away is also great when a drop or two is applied topically to the neck and shoulders. Stress Away is a blend of Copaiba, Lime, Cedarwood, Vanilla, Ocotea, and Lavender. My very first single oil when I got started with Young Living – a favorite one to use on the back of the neck, over the brainstem area to support the brain. Frankincense contains “sesquiterpenes”, which is a constituent found in some essential oils. Sesquiterpenes have been found to be able to cross through the blood-brain barrier, which is huge news for all of us who want to support brain health! Breathing this in or applying topically are just two ways to enjoy the benefits of this grounding, yet uplifting oil. Lavender is referred to many times as the “Swiss Army Knife of Essential Oils” because of the fact that it has so many uses. It helps with so many things! We tend to connect Lavender to the feeling of being relaxed, which makes since when you think about how it’s apart of the blend, Stress Away. Valor is a key oil found in the Raindrop Technique, and it is an incredible oil to use at any time. Valor has a fractionated coconut oil base, with the essential oils of Northern Lights Black Spruce, Camphor, Blue Tansy, and Frankincense. Valor is said to have the same vibrational frequency as the skeletal system, helping to support the body in it’s natural physical balance. This blend is also talked highly about when it comes to instilling confidence into oneself. Applying a drop or two to the wrists and back of the neck in the morning is how I use this oil daily! 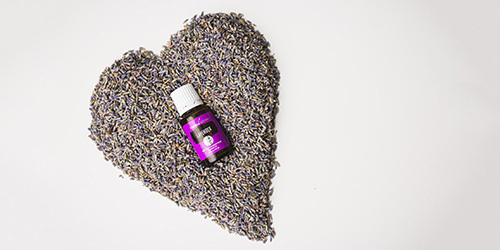 Young Living’s proprietary Raindrop Technique combines unique, targeted massage and energy approaches with pure, authentic essential oils for a deeply harmonizing, rejuvenating, and relaxing experience. The Technique, developed by Young Living Founder, D. Gary Young, draws from his experience with Native American wellness traditions and provides a revolutionary means of nurturing harmony-physically, mentally, and emotionally. Everyone will experience the Raindrop Technique differently, depending on his or her body. Recipients may experience fatigue, increased energy, emotional release, or other short-term effects. Like any kind of massage, drinking water following a Raindrop is very important – both for the one who received the Raindrop, as well as the one who gave. Want to learn how to do a Raindrop? Visit the Raindrop Technique team resource page. Learn how to become a member to access our team-exclusive resources, below! I got so attached to the massage lotions we used during massage school, and at the time I thought there was no way I was going to switch to using massage oil and like it. When I ordered my first Raindrop Technique set (this was on my very first Essential Rewards order), I figured I would give the OrthoEase massage oil a go. OrthoEase is a fractionated coconut oil and grape seed oil base, with the essential oils of Wintergreen, Peppermint, Juniper, Eucalyptus Globulus, Lemongrass, Marjoram, Thyme, Eucalyptus Radiata, and Vetiver, along with wheat germ, sweet almond, and olive oils. OrthoEase is what I have primarily used during massage sessions ever since I first tried it. If you’re into making your own massage oil blends, I recommend the Young Living V-6 carrier/massage oil as a base to add your choice of essential oils to. 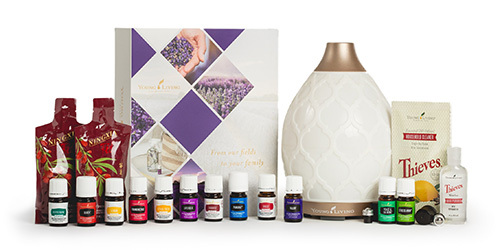 Young Living makes some pretty awesome essential oil roll-ons, and actually you can turn any of their essential oil bottles into a roll-on by getting the AromaGlide fitment packs. My favorite roll-ons for massage are Deep Relief, Tranquil, Stress Away, and Valor. The decision I made to include Young Living into my massage business was a decision that opened up so many doors for me. Did I find success in Young Living because I’m a massage therapist? Absolutely not. I have been successful because I have a heart to help others, and empower others. No one needs a title or degree to help others. It’s a matter of helping people dive into experiencing how they feel just from being around the oils or using the products for themselves. That’s the beauty of this business. We don’t “sell”. We share, and the products sell themselves. Once you have ordered your kit and joined with us, you’ll receive information on how to get connected with our team resources and support to help you along your wellness journey! PreviousFlu Season, or Something Else? Flu Season, or Something Else?